Importance of Nutrition to Overall Health – St. Paul Chiropractic and Natural Medicine Center offers our clients nutritional expertisebecause we understand its fundamental importance to overall health. Our approach with our clients begins with honesty. We want you to know what our most accurate assessment of your health is, and we will deliver our assessments in a way that empowers you to regain or attain optimal health for the first time. Nutrition is the single most important component involved in keeping all of the systems of our bodies functioning well. It is important to note that St. Paul Chiropractic and Natural Medicine Center emphasizes overall health, which means that we will work with you to understand your systems’ functioning as thoroughly as possible. While we are open to new methods of achieving optimal health, we are not inclined to simply recommend the purchase of a vitamin supplement with the expectation that your nutritional needs will be taken care of. The foods we eat affect the way we feel. Just as poor long-term nutrition can cause us to be overweight, develop diabetes, and/or become depressed, making a commitment to better nutrition can help us achieve a healthy weight, manage or avoid diabetes, and encourage a more positive outlook on life. Chiropractic care is a comprehensive form of care. 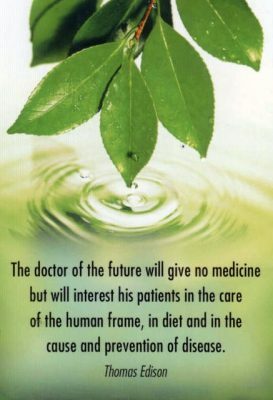 Nutritional expertise is therefore a vital component of the comprehensive care we believe we owe to our clients. Lending that expertise to you is a duty we take seriously, and which we apply individually. No two people are exactly alike, so our nutritional recommendations to you will be based on the information you share with us and our professional assessment of your current state of health. To schedule an appointment at St. Paul Chiropractic and Natural Medicine Center, call us at 651.644.7207.